Carmichael Gallery is pleased to present Primeval, a group exhibition featuring works by Emol, Stinkfish and Zio Ziegler. 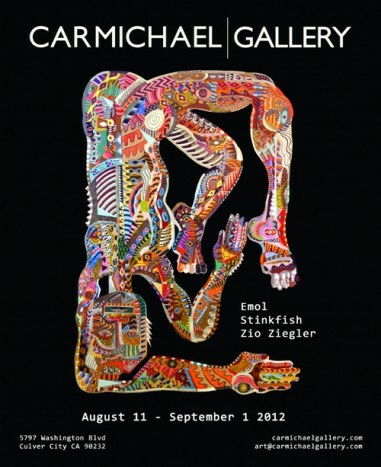 Zio Ziegler will be in attendance at the opening reception. Their individual mastery of line, sources of form, and choice of color share a compassion for and understanding of history and humanity. Such honest and considered motives translate into works that are powerfully evocative and, though indigenous, universally approachable.